Cadenza Lab swings into the new year, profiling a new signing. gAs is the Italian producer who has made steady strides already with releases on Memento, LED and Inside Orion. 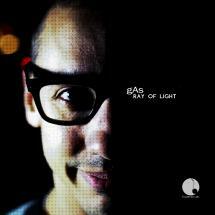 And for Cadenza Lab, gAs AKA Enrico Gasperini treats us to the hypnotizing ‘Ray Of Light’. The looping synth melody and cinematic sweeps of the ‘Original Mix’ wrap around booming sub bass and dubbed out vox. The ‘Tool Mix’ provides a beatless pass, a perfect piece for DJs to get busy with in the mix as the soaring strings and delayed voices provide plenty of space. ‘Green Mamba’ finds its pace with the rhythmic handclap pattern and light keyboard work, little drum fills and glitches keep pushing this deeper club cut forwards, a solid production and a perfect track to wrap off this Cadenza Lab release, and what promises to be a good year in 2014 for gAs.